Yes, our new Sparkplug website has just been launched. I could talk about its new design, its easy navigation or all the work we are showcasing. But I wanted to talk about something else, this year’s Academy Awards. When the New York Times recently compiled its list of top movies for 2016, most were documentaries. They completely ignored the hordes of more theatrically focused movies because they believed their quality was not up to snuff. I am inclined to agree with them. 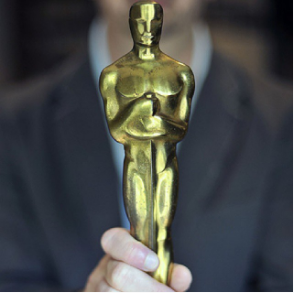 A total of nine films were nominated in the Academy Awards Best Picture category that will be judged in several weeks. Of those nominated, I contend that only (Moonlight and Manchester By The Sea) would have barely made the cut in banner years such as 1977, when the nominees were Rocky, All the President’s Men, Bound For Glory, Network and one of my all-time faves Martin Scorcese’s Taxi Driver unexplainably lost to Stallone’s paisano punching bag. So what does this any of this have to do with Sparkplug? Sparkplug Marketing & Communications has been in operation for some time now, providing senior, hands-on, tier one strategic and creative involvement on all our clients’ businesses, regardless of their size. And we have worked in virtually every product category. We were one of the first boutique agencies to be established. Now, there are many more that offer services like Sparkplug. We’re not going to say anything about them. Instead, we are going to say something about us. We are not the new kids on the block or even the Backstreet Boys for that matter. We are not the candle that burns bright only to fizzle out quickly. We are the eternal flame, always providing warmth and illumination. We are not like forgettable films like Hacksaw Ridge that was nominated for Best Picture this year. We are reminiscent of Martin Scorcese, a director still going strong after decades in the business with a fresh point of view. We are proud of what we have accomplished and excited to do even more. Look at our website and judge us based on what you see. Tell us what you think, or better yet, call us to find out how we can help you. We’re up for it!